I can never seem to find the time to post, but I have been busy. Last November, I began stitching A Crossed Wing Christmas. 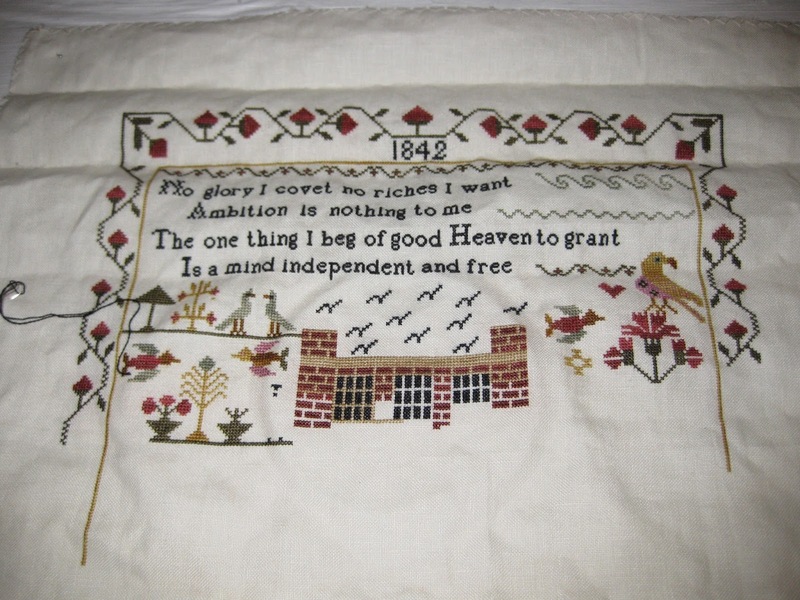 This is a deceptively large sampler, with lots of 3/4, and blended stitches. I think it will be very pretty when it is finished, but it is a slow-go. I got to the point where I just couldn't look at any more snow and ice after the winter we had, and I put it aside for a while. 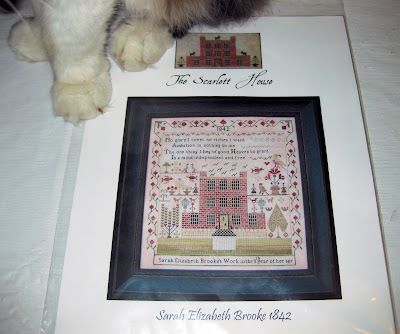 It is a little hard to see the details on the light blue linen. 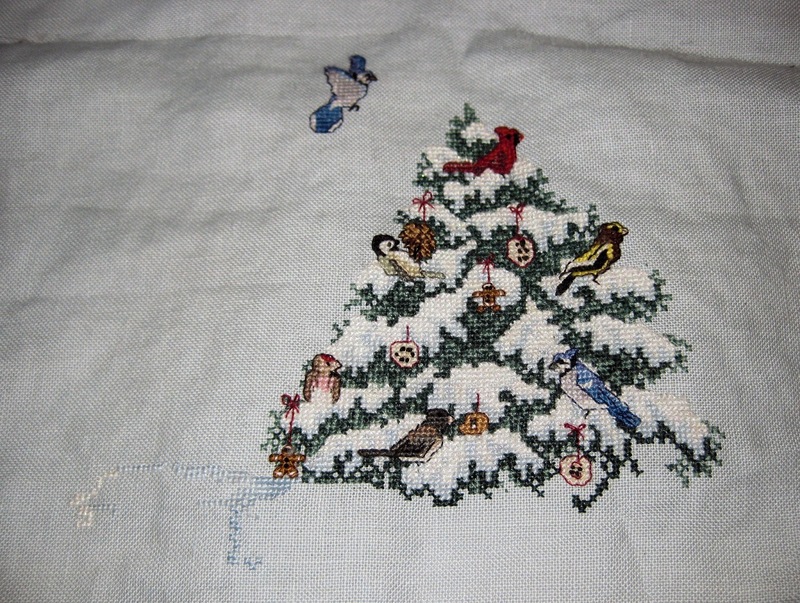 There is a lot of snow, as well as the many birds of course, and some apples, pine cones and an orange. I will get back to it in a few months. 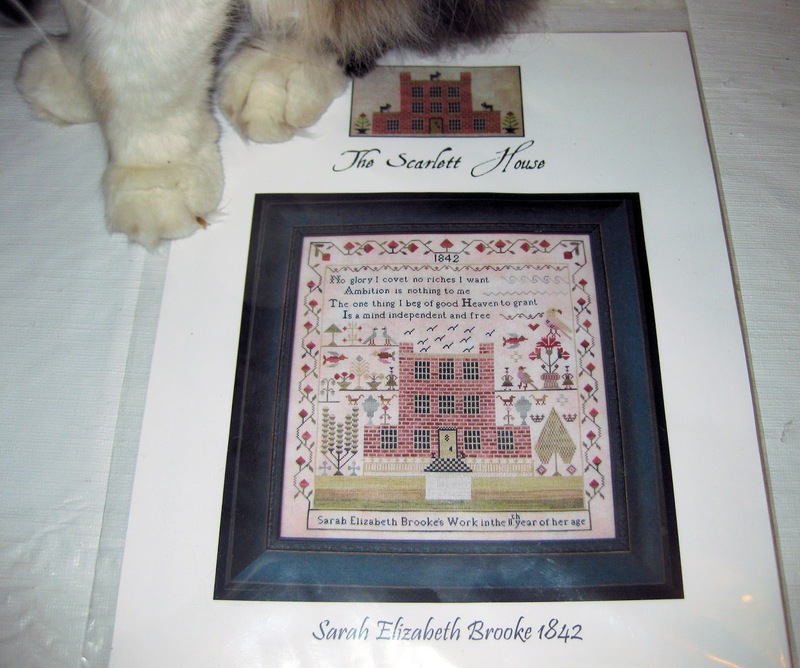 Next, I picked The Sarah Elizabeth Brooke Sampler. I have had my eye on this one for quite a while! The linen is 40 count, and I am using the suggested Belle Soie silk threads. I am currently working on this one, and have made some more progress. I will post a new photo soon. Those bricks are taking forever! I feel like I am actually building the house brick by brick! In between these projects, I knitted a pair of socks for Martha, my mother-in-law. Unfortunately I neglected to get a photo. I hope they fit, but I suspect they might have been a bit large. It is always hard to knit socks for someone else. Also, I completed 2 other projects! Because they are secret, I cannot post the photos just yet, but I will in a few months. I am spending a lot of time in the garden these days. I got a late start and didn't get my seeds going. Next year, no matter how cold it is, I am resolving to start my plants from seed! The nurseries and farms around here are all disappearing to make room for more developments. It is a shame to see them go. The result is to pay higher and higher prices for plants from the remaining nurseries, or be satisfied with the paltry selection of plants from the big box stores. Not great alternatives! As soon as it stops raining, I am going to take photos of my garden. I will come back to post them along with my progress on Sarah Elizabeth. Your works in progress look lovely! I really like the brick work in the sampler you are working on. Both projects are lovely! Hope the garden is going well. Nice to see a post from you! 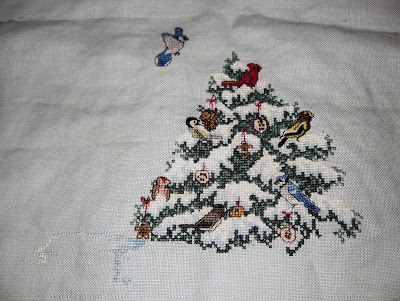 Wow, you do a lot of cross stitch. What do you do with them all? 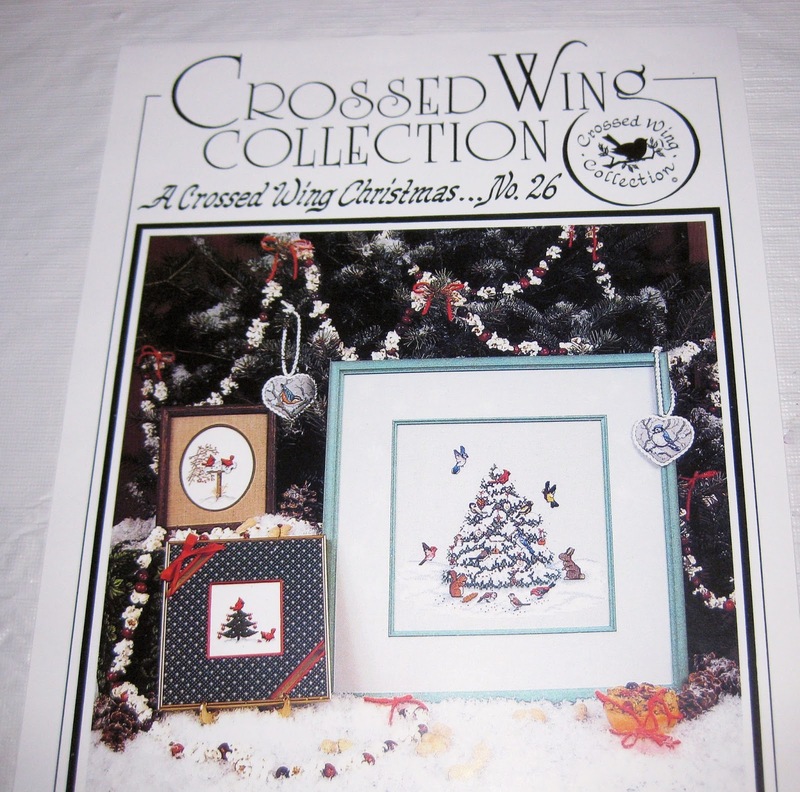 I used to do a lot of stitchery projects until I realized that the pictures outstripped my wallspace. LOL I do have a fantastic huge Teresa Wentzler dragon I'd love to finish someday and get hung.